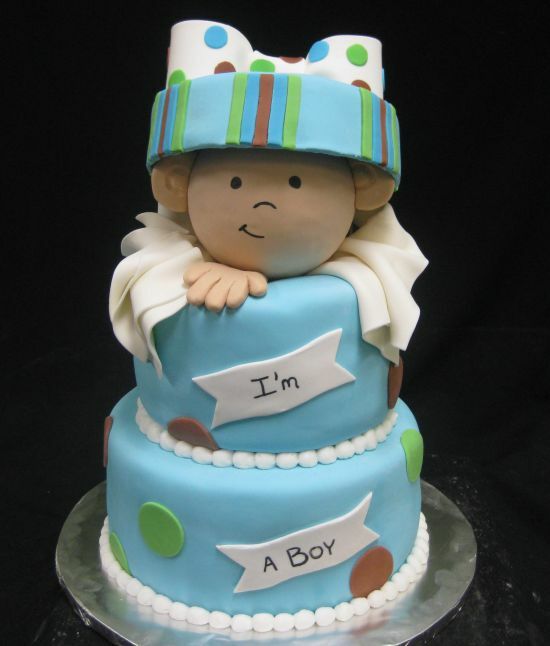 Here are a few of my personal favorite cake pictures from the last few months of 2012. 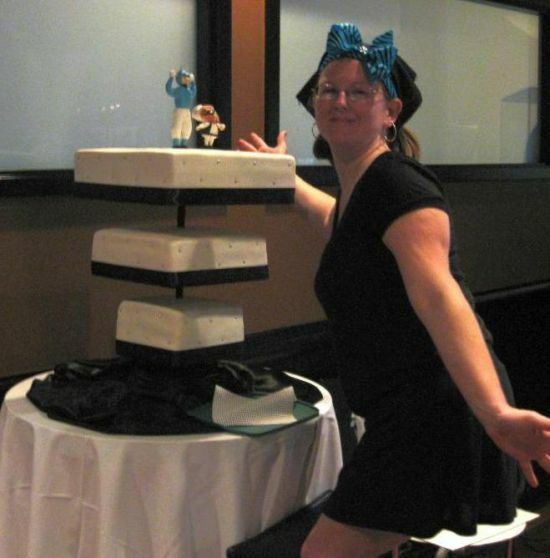 2012 was crazy with moving, however, we did get a few cakes done! I hope you enjoy. 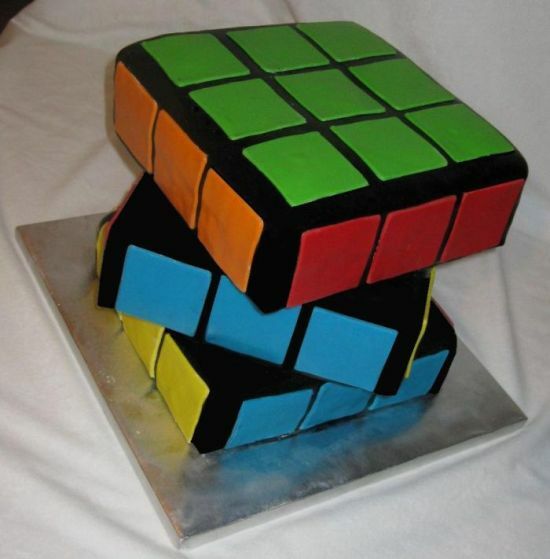 This Rubik's cake was fun to make! I used the 10 inch square Cake Stackers plates and turned each one 90 degrees to get the look. Each tier was 3.5 inches tall so that when assembled it would be .... square! This Red Robin cake was 3 feet tall! 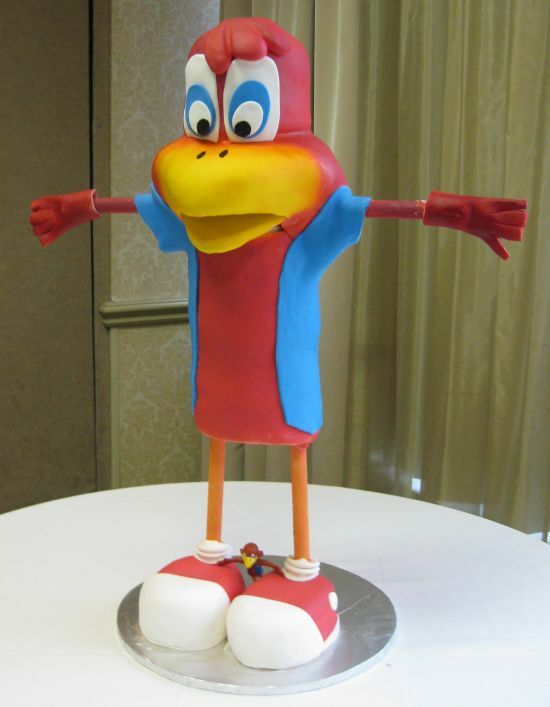 It was a groom's cake (he worked at Red Robin). I used a wood base to get the legs, then used the 10 inch round plates to build the body and topped with a Styro carved head. I've been making the Peek A Boo cake for years but this is the first time I have made a tiered one! To make the top, I used an upside down round cake pan as my mold. I rolled out gum paste and put over it and cut the edges then dried overnight & decorated. This upside down wedding cake was a hit! The newly wed couple wanted something different and fun. I used the upside down cake kit and added space between the tiers by using extra center posts. 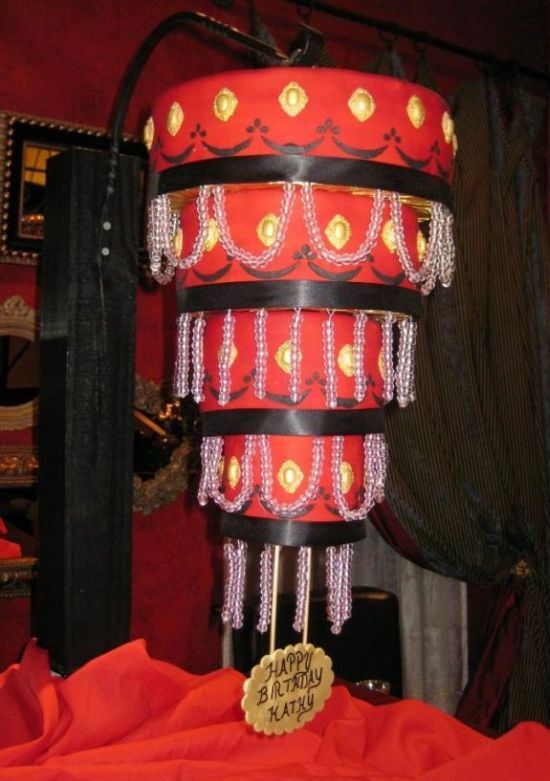 This hanging cake was in a red room full of hanging chandeliers! It was a perfect match and no one could find the cake! What a wonderful experience. I used the chandelier cake kit and my hubby build the stand to hang it on. I have also seen stands for sale if you Google search "hanging plant stand" you will get a lot of options. Comment on our cake pictures October or ask Steph a question here.